The Randolph Hills Shopping Center is going to be the site of a “placemaking event” organized by Better Block Foundation and the Montgomery County Planning Department this Fall! This will be an opportunity to re-imagine what the shopping center could be though community engagement, ideas, and participation. This is sure to be an exciting opportunity for RCA-land! 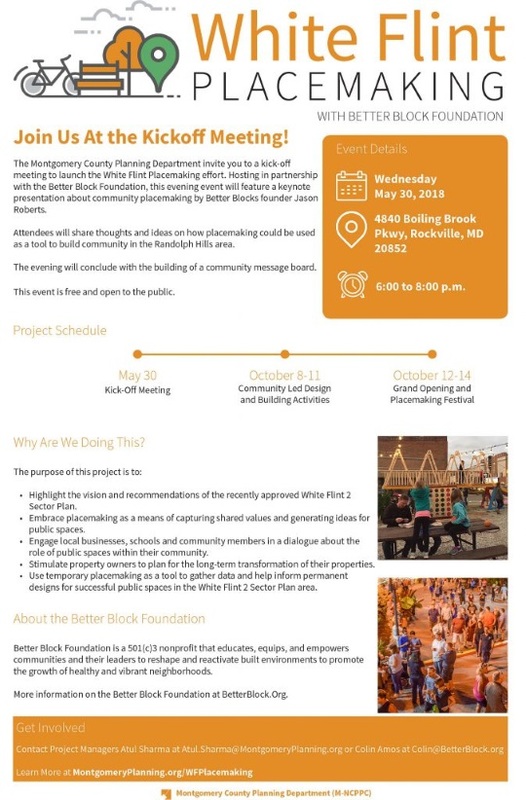 Please join BetterBlock.org CEO Jason Roberts at the Randolph Hills Shopping Center for a keynote speech and kickoff event.